Horse Less Press will have a table at the Buffalo Small Press Book Fair this weekend; stop by, say hi, and buy a book! 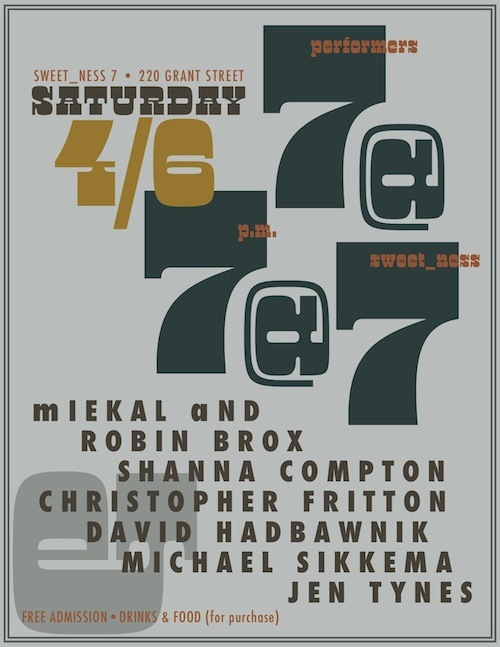 Michael Sikkema and I will also be reading at an after-party event Saturday night, alongside mIEKAL aND, Shanna Compton, Robin Brox, David Hadbawnik, and Christopher Fritton. Details below; thanks to Shanna for the beautiful poster!